The part I like the most of the this MOFO aside from the fact that I am cleaning out my cupboards is the fact that if it doesn’t come out great I am still going to write about it without it feeling like a personal fail. I actually made this the night we had the Cuban Black Bean Soup. I made both the white cheddar and the regular cheddar so we could compare. I really had thought that having them side by side that they would taste exactly the same. I was wrong. It was unanimous, we preferred the white cheddar. Hubby and I both felt like the regular cheddar had a chemical after taste. Anzia ate the white one immediately and mostly played with the other one. We are always looking for food to travel with and agreed that the white cheddar one might be okay for that but we probably won’t be stocking it in our cupboard. 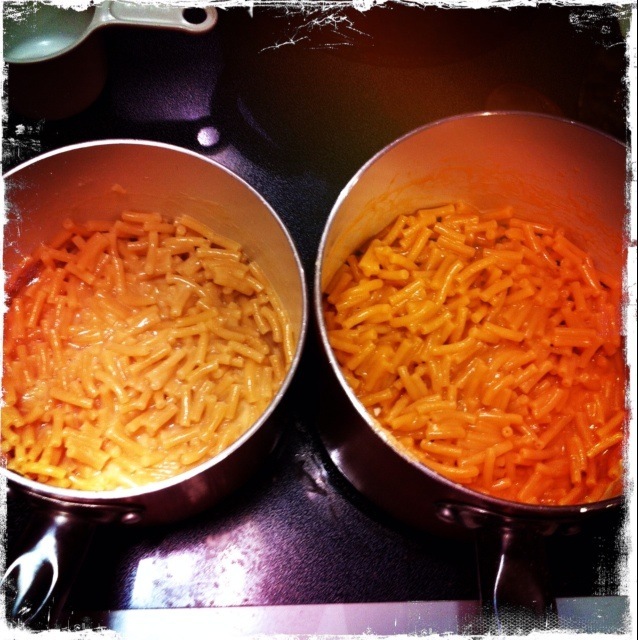 Anzia pointed out that if she didn’t bake her Mac & Cheese that she makes from scratch it would be as easy to make as the boxed one, and she would rather have that. Homemade beats Earth Balance on this one! Oh, one more thing. This year for MOFO I definitely went for simplicity since I am working with very limited time as well as helping Anzia with her post. Somehow trying to knock these things out quickly I completely forgot to give a shout out to the official Vegan MOFO page and say thanks for putting this month together again! My favorite thing to do during the month is to look through blogs on Random MOFO. I have already added quite a few new ones to my list! Check it out here. Gallery | This entry was posted in Vegan Mofo 2014. Bookmark the permalink. I think they are worth a try. It tasted like what I remembered Kraft tasting like as a kid, but I am so far removed I probably am not the best judge. i bought a box of the white cheddar one, but still haven’t made it. I guess i just bought it because it was the cool thing to do, but I”m not sure when I’ll actually be in the mood for it, since it’s not my usual scene. Confessions of a fellow food hoarder. Also, I enjoy reading about the “fail” meals too – even though as a blogger I rarely write about them . 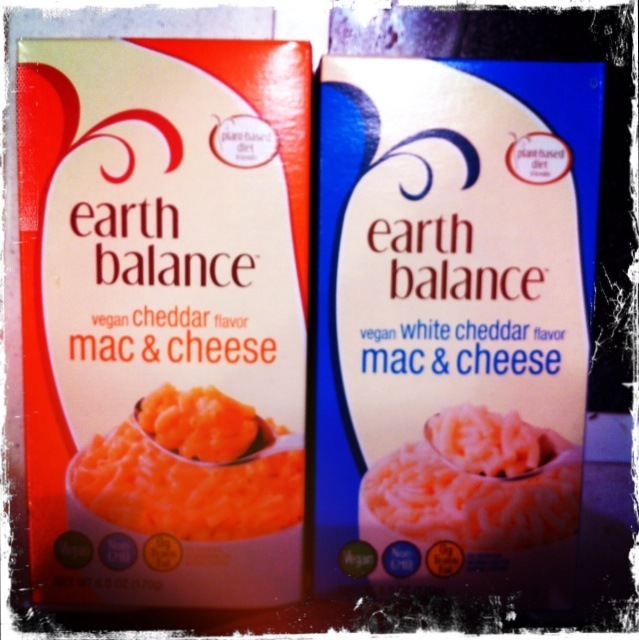 Homemade is definitely better, but I really like the Earth Balance macs- more than I thought I would! I’m keeping them stocked!